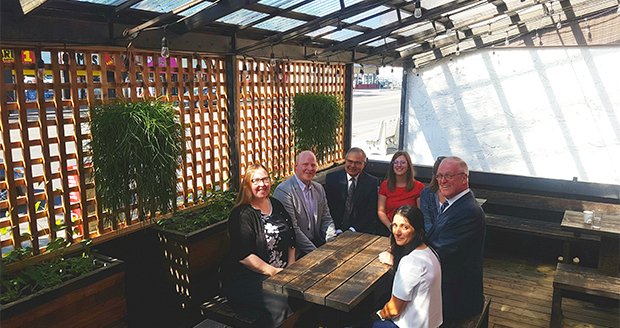 On Monday, May 28, CPHR Alberta staff were invited to a press conference with the Alberta Government that highlighted new occupational health and safety (OHS) rules that come in to effect June 1, 2018. We went to share the perspective that good HR doesn’t just protect workers, it can lower business costs as well. Employee turnover and workforce productivity are directly impacted by workplace harassment and violence. One of the points CPHR Alberta highlighted in our presentation during the press conference was that the best practices established by many of our members are already well in line with these new regulations. We know that Alberta’s HR professionals are prepared for these new regulations. The results of the Spring 2018 HR Trends Survey tell us that the experience our members have had in prevention training are effective in reducing workplace harassment and bullying. The expertise of our members in establishing these models will help workplaces address harassment issues across the province. The Ministry of Labour has prepared templates and other resources to help workplaces become compliant with these updates, and will be rolling out additional resources in the coming weeks. CPHR Alberta will be publishing additional articles on our blog and targeting our fall events to help our members remain compliant. CPHR Alberta and our members provided valuable feedback during the consultation process for this legislation. Thank you to all of our members who helped shape this legislation update that will provide greater value for Alberta’s business and ensure the safety of our province’s employees.